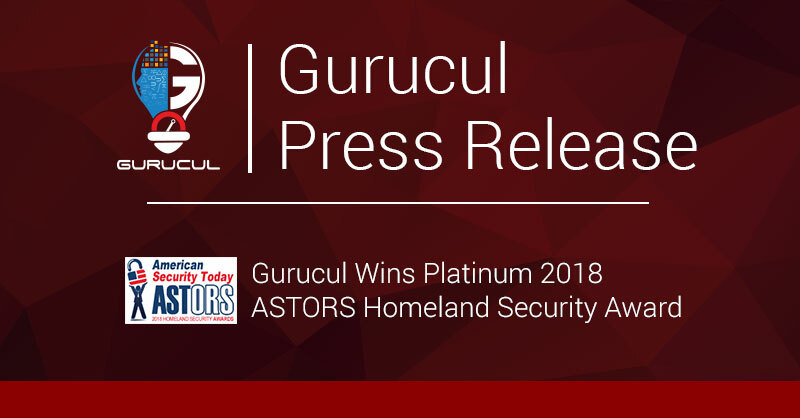 LOS ANGELES–(BUSINESS WIRE)–Gurucul, a leader in behavior based security and fraud analytics technology for on-premises and the cloud, today announced it was named the Best User & Entity Behavior Analytics (UEBA) Solution in the American Security Today 2018 ‘ASTORS’ Homeland Awards. The annual ‘ASTORS’ awards honor distinguished solutions that deliver enhanced value, benefit and intelligence to end users in a variety of government, homeland security, enterprise and public safety markets. Nominations were evaluated by a panel of experts for technical innovation, interoperability, specific impact within the category, overall impact to the industry, relatability to other industry technologies, and application feasibility outside of the industry. Gurucul will be profiled in a special Champions Edition of American Security Today in December. “The United States is increasingly focusing on protecting IT/cyber security networks, and government and security professionals are calling on innovative companies like those honored with 2018 ‘ASTORS’ Awards, to help them do so,” said Michael Madsen, co-founder and publisher of American Security Today. The Gurucul Risk Analytics (GRA) platform ingests and analyzes massive amounts of data on user and entity behaviors from virtually any data source, including the network, IT systems, cloud platforms, applications, IoT, social media, etc. It applies identity-centric, model-driven data science, machine learning, anomaly detection and predictive risk-scoring algorithms to identify not just anomalous behavior, but risk-scored behavior indicative of security threats. Gurucul has the industry’s largest machine learning library with more than 1300 models, which allows GRA to detect unknown threats in real-time. GRA’s accuracy and real-time alerting saves security analyst time and resources and allows organizations to stop potential damage before it occurs. The Annual ‘ASTORS’ Awards is the preeminent U.S. Homeland Security Awards Program highlighting the most cutting-edge and forward-thinking security solutions coming onto the market today, to ensure our readers have the information they need to stay ahead of the competition, and keep our Nation safe. The 2018 ‘ASTORS’ Awards Program drew an overwhelming response from industry leaders with a record high number of corporate and government nominations received. For more information, visit American Security Today AST Awards, follow on Twitter and Facebook. Gurucul is a global cyber security and fraud analytics company that is changing the way organizations protect their most valuable assets, data and information from insider and external threats both on-premises and in the cloud. Gurucul’s real-time security analytics and fraud analytics technology combines machine learning behavior profiling with predictive risk-scoring algorithms to predict, prevent and detect breaches and fraud. Gurucul technology is used by Global Fortune 1000 companies and government agencies to fight cyber fraud, IP theft, insider threats and account compromise. The company is based in Los Angeles. To learn more, visit Gurucul and follow us on LinkedIn and Twitter.